To please and attract the Indians, Panasonic has launched it’s Octa-core budget smartphone , the all new Panasonic P55 Novo with 13-MP+5-MP Camera in India priced at Rs 9,290 which is available online through Shopclues at Rs 8,499. 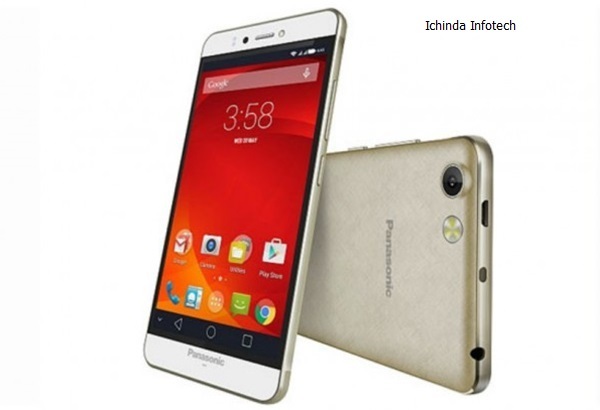 Panasonic has recently launched all new Panasonic P55 priced at Rs 10,290. It will take on Lenovo K3 Note(Rs 9,999), Xiaomi Redmi Note 4G, Meizu M1 Note(Rs 11,999) and Upcoming HTC desire 728. The all new Panasonic P55 Novo supports Dual-SIM(MicroSIM), 3G, GPRS/ EDGE, Wi-Fi 802.11 b/g/n, GPS/ A-GPS, Micro-USB, and Bluetooth comes with a bigger 5.3-inch HD IPS display with resolution (720×1280 pixels) and 277PPi offers you stunning colour consistency with wide-angel HD viewing perfect for watching movies, playing games and reading e-books. Panasonic P55 Novo is powered by a fastest 64-Bit Octa-core processor clocked at 1.5GHz and runs on Google’s Android 4.4 Kitkat OS(Upgradable to Android 5.0 Lollipop) with 1 GB RAM, 8GB Internal memory and 32GB expandable memory promising blazing multi-tasking. For shooting Panasonic P55 Novo sporting a 13-MP auto Focus Rear camera with Tripal-LED flash with Gradient Capture Function perfect for shooting in low light and 5-MP front camera with LED flash best for video calling and selfies powered by a 2500mAh battery measures 147.9×73.8×8.15mm including innovative features Tap Play and Gesture Play. At last few honest word, Panasonic P55 Novo is going to be the game changer for Panasonic. What you think? Please be open to give your view.